Getting a business sale transaction 'over the line' is not about tips and tricks. Instead it's about efficiently managing the information flow through the detailed due diligence process to ensure all parties are well informed, the negotiating process progresses smoothly, and everyone can feel comfortable with the end result. A good advisor or broker will successfully manage that interface for you. Today’s electronic environment allows you to efficiently share information in a way that also protects its sensitivity. At JPAbusiness we use data rooms to give restricted access to people involved in the transaction. A data room allows sensitive information to be corralled in a secure spot. It’s an efficient way of managing that final information exchange during a detailed due diligence process – without an avalanche of paper! We give restricted access to the data rooms to people involved in the transaction and they can log questions and answer queries as required. This can assist the purchaser by giving access to their advisors who may, for instance, be conducting legal due diligence, and can also assist the vendor, whose solicitors may be drafting the legal contract of sale. ensure a flow of credible information. Your broker can also coordinate and manage site visits that may be a part of the final stages of sealing the deal, including meetings with key staff that the purchaser may require. Often a purchaser will be very keen to tramp out on site at any hour, meet customers and key staff, and have a look around the premises when it suits them. And, just as often, we see business owners allowing that to happen. I don’t like standing in the way of information flow because, ultimately, a purchaser getting to know a vendor and their business is what this process is all about, but this is not the way to go about it. Best practice involves allowing your broker to facilitate those meetings, site visits and information exchanges so they are structured and present the business in its optimum position to the purchaser. It’s also important to protect confidentiality. The broker also manages any sensitive issues and avoids the downsides of direct contact with customers and staff potentially causing uncertainty in the event a sale doesn’t proceed. 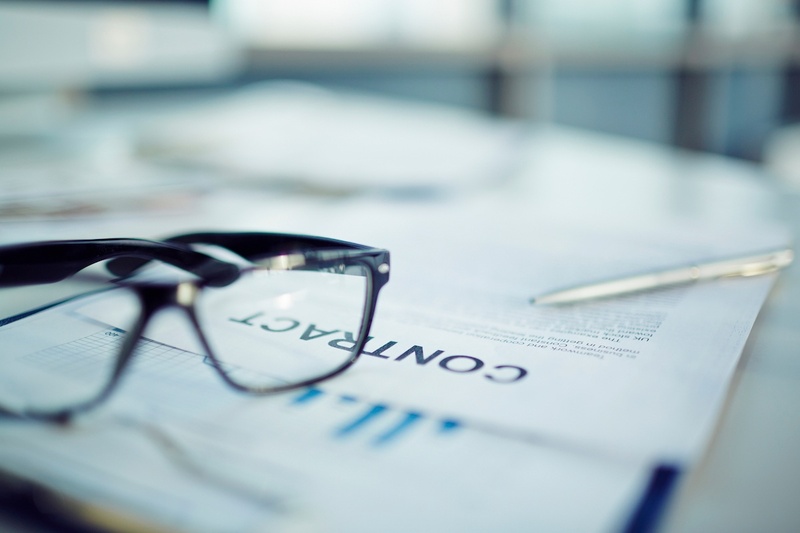 There is some information that, during a due diligence process, a broker will advise you to hold back until such time as you have a binding contract, or an exchanged contract, where the purchaser has paid a deposit. Usually that information is commercially sensitive and relates to pricing, customers, terms of existing contracts and so on. It is important that it is eventually shared with the purchaser, but it is also important that it is not shared until there is a binding situation. In the interests of transparency, we would let the purchaser know early on that some information would be held back and as part of the data room there would be ‘black box information’. Often, as the business sale agreement is drafted in parallel to the due diligence process, it will provide for certain conditions – what’s called ‘condition precedents’ – which occur post-exchange. Exchange of contract is where a legal contract – a business sale agreement – is exchanged between the parties and a deposit is paid on the sale price. That deposit is held, but the sale doesn’t complete, until various condition precedents occur. One of those condition precedents may be related to the sharing of black box information between exchange and completion. There are three key people we would advise a business owner, in selling their business, to work closely with during the sealing the deal process. To use an American football analogy, think of the broker as the quarterback to the business sale. The broker’s role is to manage all the expertise and information flows around achieving the business owner’s objectives. Smart business owners use their broker or advisor as the glue that holds all the parties together. The ‘quarterback’ manages the sale process with the business owner, the purchaser, the business owner’s solicitor and accountant. The quarterback/broker will also have a strong relationship and positive interaction with the purchaser’s solicitor because, remember, a contract has two sides. The broker also needs to manage the process like a project – very closely and very deliberately – because these transactions don’t just happen. They happen because the broker is in there keeping everything moving, getting the questions answered, resolving sticky issues and tackling the final pieces of negotiation that appear as a result of the final due diligence. A good broker will provide the solicitor with a detailed list of key commercial terms that have been worked through and the heads of agreement, so the solicitor can draft the business sale agreement. We’ve said it before: this is not a job for a lawyer who simply knows about property conveyancing. Having a lawyer with experience in business sales is critical. The business owner’s accountant is an important team member in sealing the deal, but they’re actually very important throughout other parts of the sale process. We covered this topic in our eBook How NOT to Sell a Business. Often there are specific tax considerations around apportionment of assets, such as the value on plant and equipment, versus the value on stock, versus the value on goodwill, and the need to handle more complex financial and tax-related due diligence questions. Don’t wait until you’re getting offers on your business to understand the potential tax benefits and tax minimisation opportunities that may be available in the course of selling your business. We’ve all heard stories of business sales almost making it to the point of deposit and exchange of contract, then unravelling. Why does this happen? Sometimes it unravels for very plausible reasons. For example, the purchaser, despite their genuine interest, finds something about the business during their due diligence that causes them to reconsider. Or the purchaser, despite what they’ve told the vendor and their broker upfront about their finance capability, in the final analysis is unable to get finance. A good broker will do their best to identify these issues early and flush them out. As an advisor to business, whether it’s on the broking side or the advisory side, I always work on the basis of transparency. If the parties are transparent with each other in terms of their intentions, right from the start, there is a much better chance of either a ‘happy marriage’, or a mutual understanding that it is not going to work out. The detailed due diligence process is akin to the Australian stock exchange – it’s not a good place to surprise people. For example, if listed companies don’t surprise the market their share price tends to perform in a consistent way, regardless. But if a company comes out and says ‘last quarter we said there would be a $2.5 million profit and this quarter we’re actually saying there will be a $0.5 million loss’, the market gets jittery. It’s the same story here. If you’ve done your preparation upfront, you’re on top of your information about how the business is performing and you have a good broker who can position that positively and keep an active information flow with the interested party or parties, then there are no surprises, or very few. The same piece of information delivered openly at the start can be much less detrimental than if it turns up to ‘surprise’ a purchaser later in the same process. Sometimes sealing the deal goes wrong when either the purchaser or, in fact, the vendor, changes their tune. Luckily, this doesn’t happen all that often, but it does happen. The antidote for seller’s remorse, however, is to take a tablet upfront. In other words, don’t head into a business sale process unless you have reflected on this important question: What is your objective in selling? With that box ticked you’ll at least be setting out on your business sale journey on the right foot.